Sweedish ElectroPop superstar Johan Agebjörn’s new album of quieter, more introspective pieces, Notes, is our now. The albums collaboration with Young Galaxy, You Passed Through, has got itself an companion video. 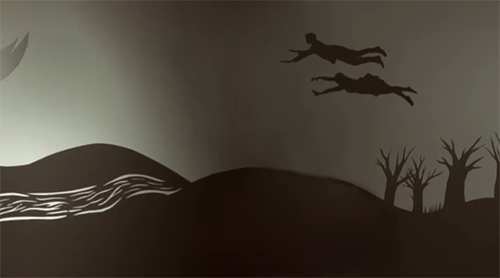 Directed by Jarrett Sitter, the clip is a dreamlike, shadow theatre animation. The perfect melancholic accompaniment. Johan Agebjörn’s Notes Is our now.